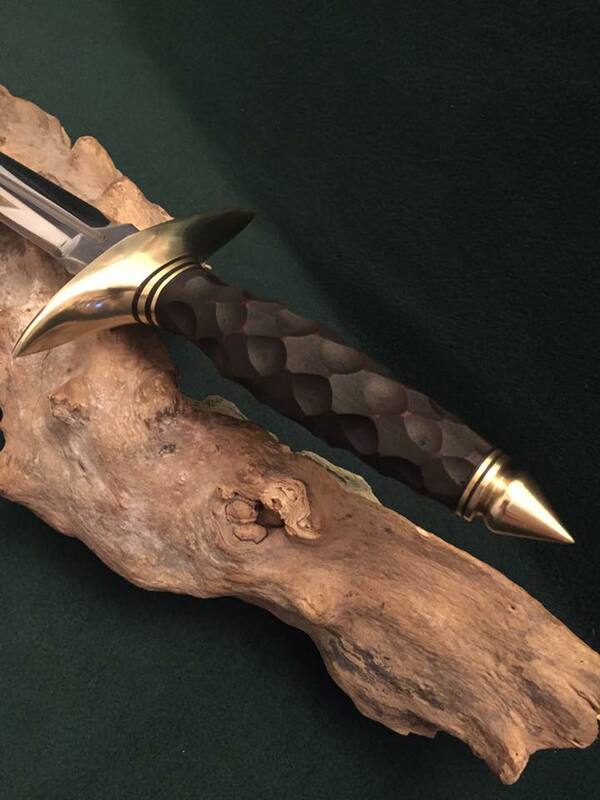 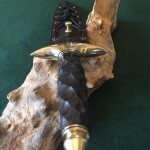 A textured micarta handle with brass pommel and guard featuring double black and brass spacers really catch the eye with this dagger. 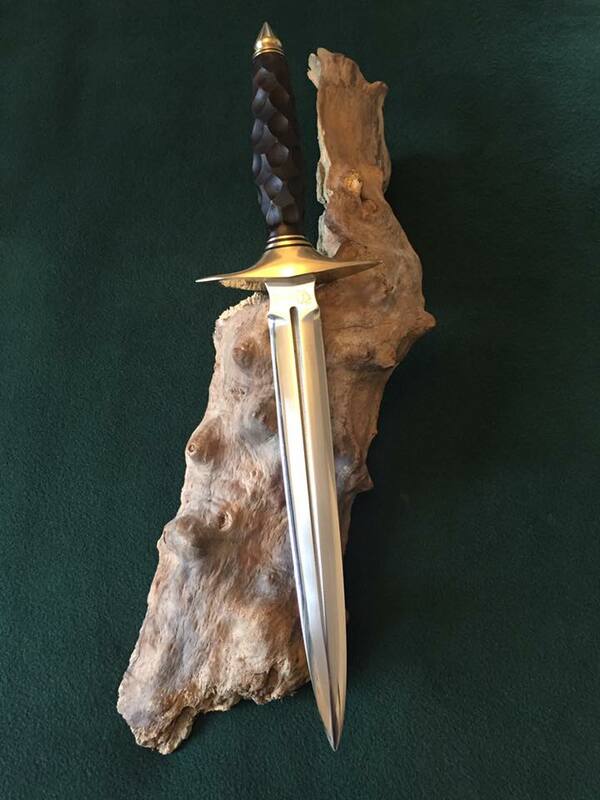 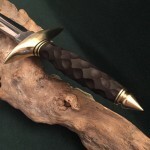 The blade is of O1 tool steel 8mm in thickness at the hilt but distally tapered down the 250mm length to the tip. 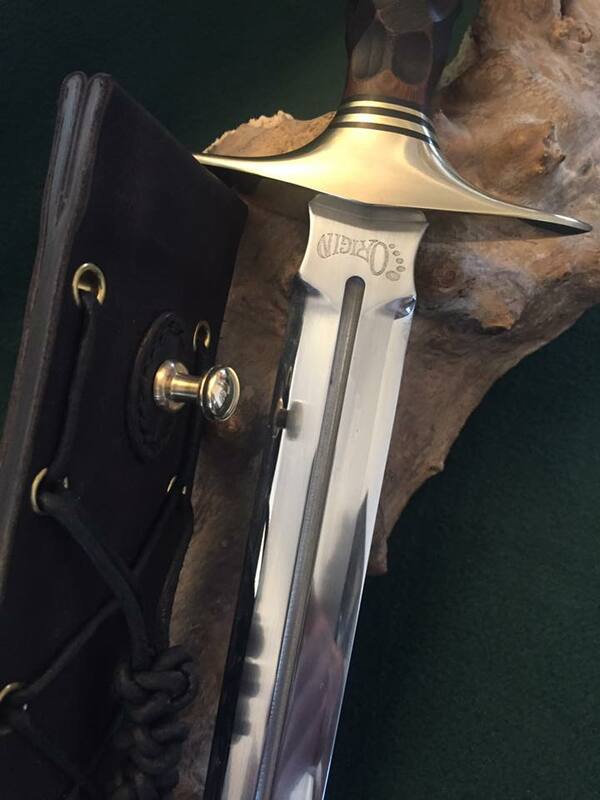 The tapered fuller adds a nice touch to the blade which is fully convex ground. 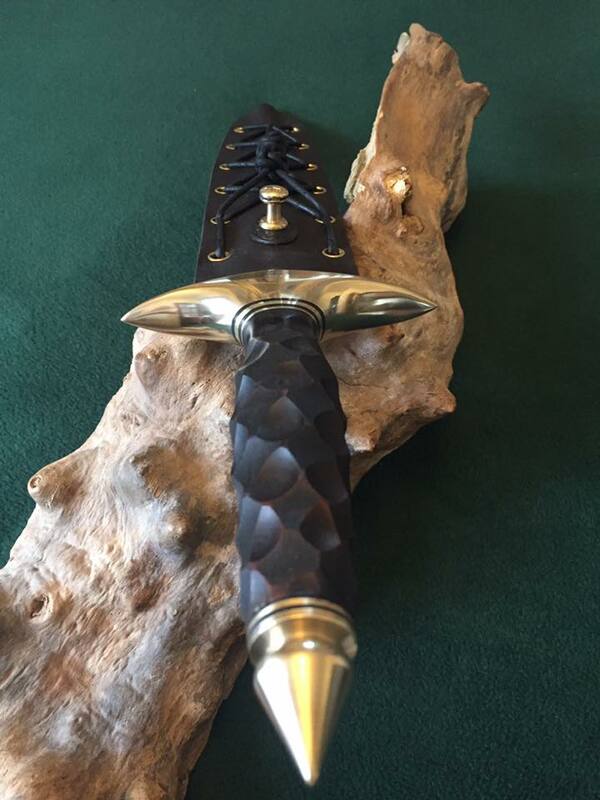 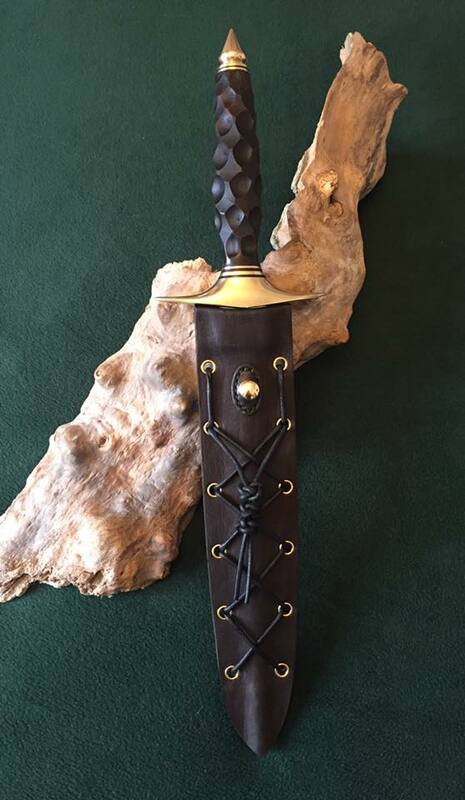 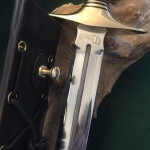 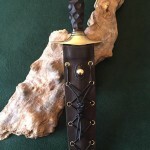 The knife is finished in leather covered sheath of kydex with brass rivets a custom made stud and leather lacing.